2. Shave it down to a mustache on September 4th. 3. The mustache will do the rest. You still have questions, we have answers. A: Because a mustache makes a statement. 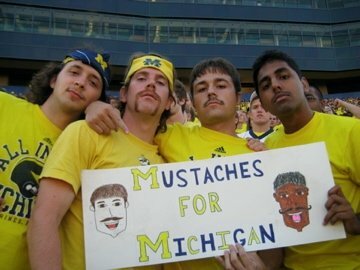 It says, "I'm a loyal fan that supports Michigan Football and Rich Rodriguez to the point of sporting ridiculous facial hair." Your All-in-for-Michigan towel is for the casual observer. A mustache the badge of a real Michigan Football fan. Q: So... why a mustache? A: Mustaches, like dragon tears, possess magical qualities. If enough mustaches are grown for a single cause, anything is possible. We are cultivating the power of the 'Stache to get a big WIN against the Huskies. It worked last year against WMU, so there's that. Q: Now, why beard up in August? Why not go straight for the mustache? A: If you have the cojones or Tom Sellick-like qualities to wear a mustache, go for it! But for most of us, sporting the 'stache for a month is not a realistic option (work, wives, whatever). But a beard is socially acceptable. 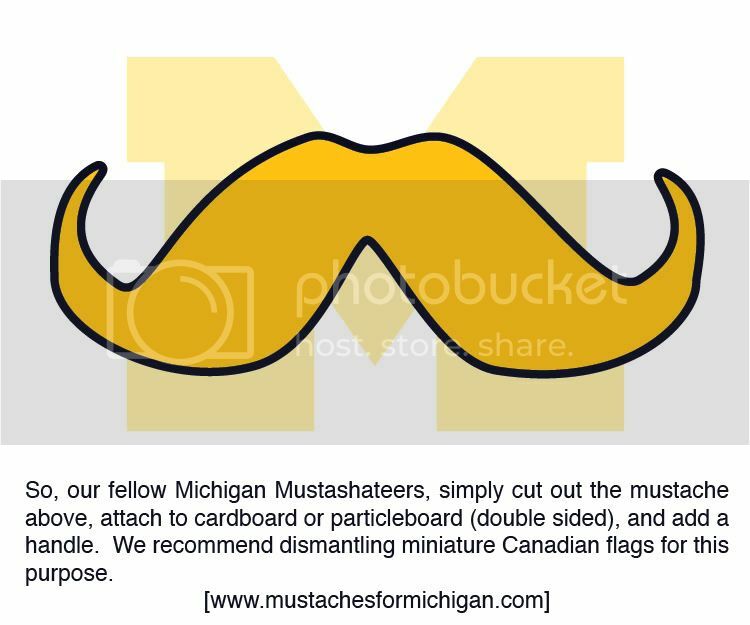 For the female Michigan fan, and for those whose facial follicles have failed them, we have devised a printable mustache that can be wielded on Game Day to show your involvement in the Mustaches for Michigan Movement. It's linked on the sidebar and here. 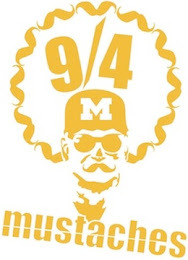 Beginning on August 1st, the first official day of bearding, the Mustaches for Michigan website will count down the days until Kickoff with a post-a-day. We'll also be posting a weekly round-up of photographs of our collective bearding efforts. You can email us your progress to mustaches4michigan@gmail.com.